The theory of evolution, for years propped up by false intermediate forms and speculation regarding the fossils of extinct life forms, has now reached the end of its days. Fossils that represent proof of Creation, so carefully concealed by Darwinists, have been placed before the public"s gaze. Now, all evolutionists" lies regarding natural history have finally been exposed. The 90-million-year-old fossilized Hyena skull pictured is another such finding. 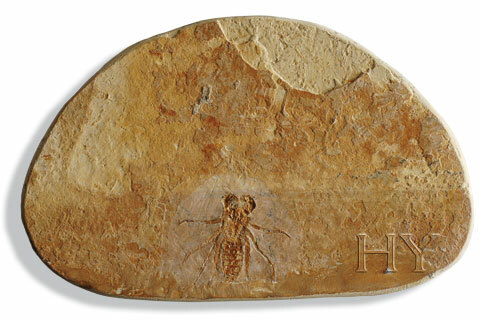 No one who sees how this fossil is identical to specimens alive today can believe in the myth of evolution any longer.